The Ice Machine Cuber IM25 is our most space-efficient Ice Machine Cuber, and a perfect addition to any small business. It’s compact, affordable and can produce up to 20 KG of Ice a day. Just the thing for a small bar operation, making sure that you can keep focused on the things that count. We consider this to be our entry-level Commercial Ice Machine, and are delighted to offer installation and repair services on top of the retail offering. 2 Year Manufacturer Warranty is included. 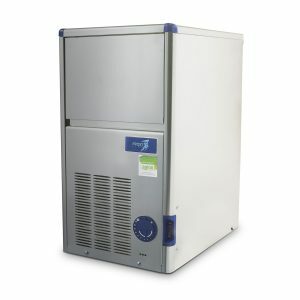 We recommend the Ice Machine Cuber IM25 to sort out your ice needs!